Today, many businesses use their cyber infrastructure to run some of their primary operational processes. With cyber threats and hacking on the rise, companies are also investing in better security systems. In fact, the worldwide cybersecurity spending is forecast to hit $1 trillion by 2021. No matter how strong you think your current cyber security plan is, the reality is that all businesses have the potential to be attacked. In today’s world, breaches and cyber attacks are the new normal. As such, you need to be always prepared with a cybersecurity policy. Read on to understand how to write an effective policy. Businesses use different third party products in different parts of their operations. It’s a common practice to use an off-the-shelf policy for such products. However, it’s not the ideal way for your management to understand your network security. Instead, you should find out what your internal team thinks about your security. Essentially, the policy is usually comprised of mandates made by your IT professional and management. Both of these parties must go through every key detail. They need to reach a common conclusion about the content of the policy. Making time as a team to discuss your policy helps to understand the types of information your work with. You can also see how it’s collected and stored. Plus, you’ll learn which information types need to be kept private. In most cases, businesses usually use a security industry standards document as the baseline for creating their policies. This allows you to write a security policy that will be accepted not only by your company, but also by external auditors and others. As noted before, using a security industry standards document helps you to align your policy to the recognized standards. Additionally, it helps you to understand all the security compliance requirements in your industry. The federal government has also put forth cybersecurity regulations that your completed policy should take into account. For example, if your business deals with health information, your policy must highlight the key technical, physical, and administrative measures for securing it. You’ll need to stay HIPAA compliant. If you request credit card information from your customers, understanding the PCI Security Standards will help to ensure that you’re compliant. Knowing these standards will help you to develop, structure, and implement your policy in the best way possible. For those involved with government contracts, it helps to understand the International Traffic in Arms Regulations (ITAR) and Export Administration Regulations (EAR). These regulations provide guidance on securing defense, civilian, and military information. What Infrastructure Do You Use? A well-planned cybersecurity policy should highlight the systems a business uses to safeguard its critical and customer data. Here, you’ll need to work with your IT team to understand your company’s capability. This will help you to stave off potential cyber attacks. Explain which programs will be used for security. Look at how updates will be made to seal all possible vulnerabilities. Help your users understand how data will be backed up. If possible, your policy should also state clearly the cloud servers that you use for storage. Having this information in your policy is critical, as it shows how you’ve planned for the worst. Plus, it helps customers, partners, or your clients understand the measures you have in place to deal with data loss and mitigate an attack. Accountability is one of the important aspects of your policy. An attack is stressful. It takes time and team effort to manage. It helps to have people responsible for contacting customers and fixing the problem. Your accountability measures should also include a contingency plan for cyber attacks. For example, you must have another person to handle the attack if it happens when the chief security technician is away. Alternatively, you can have some to contact to manage the attack. It’s also advisable to include contact information for clients and customers to use in the aftermath of an attack. They need to know who to reach out to for questions or any other assistance. Also, the management should create a schedule for reviewing the company’s cyber risk. This helps to improve accountability in all those vulnerable areas. In the long run, it can help you manage your reputation. It can also keep the business running when you get attacked. 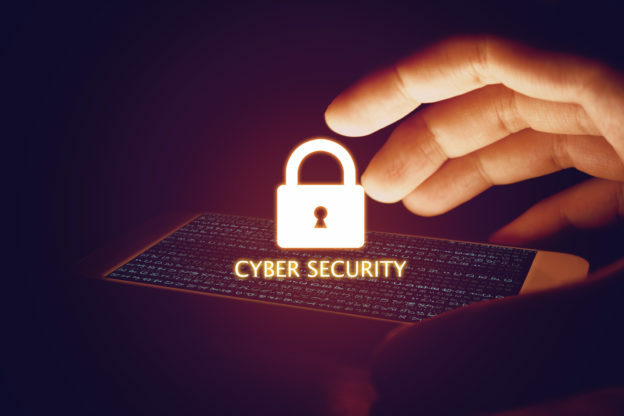 When writing your cybersecurity policy, one of the most critical considerations is outlining the acceptable use conditions for employees. A cyber attack can occur because of one simple mistake or error that an employee made. As such, you need to clearly state the best practices for using company’s resources and tools. They need to understand the best password management practices. You should also have a protocol that employees can use to report security incidents. The use social media can also be regulated, as it’s one of the common sources of phishing scams. If you have remote workers, ensure they understand how to use your networks. They should comply with all the given guidelines, including not sharing their credentials and avoiding the use of public networks whenever possible. Be sure to let them know that there will be a retributive action for any person that fails to adhere to your security guidelines. Employees also must understand how to use the work equipment, such as computers and portable storage devices. You can also teach them how to identify scams and spams that the might encounter online. When writing your policy for cyber security, it helps to understand there are several parties to consider. These include customers, employees, partners, and compliance agencies. All the parties must agree to your policy before using any of your services. The policy should provide adequate information on the scope, data classification, management goals, responsibilities, and consequences. You also involve legal guidance when writing the policy. Do you have any question of cybersecurity policy? Feel free to get in touch with us.